I love that the moment I woke up this morning, and asked How shall we play today?, an answer was given. 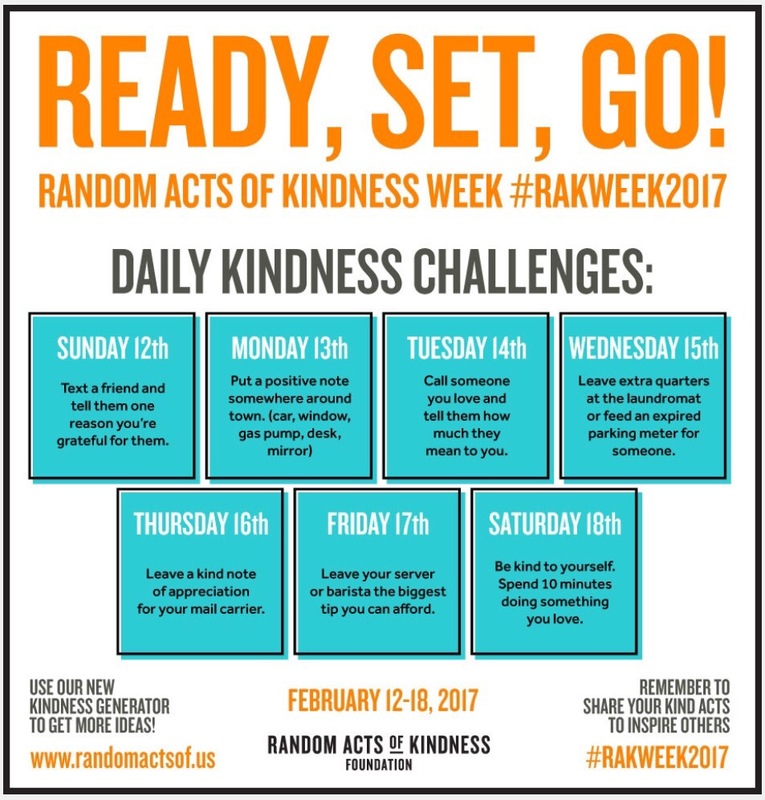 I was reminded that today is the beginning of Random Acts of Kindness Week. I had not consciously recalled that fact until I asked the question. I first discovered this week long event in 2014, during my Year of Firsts. It has been my practice since, and my joy and privilege, to participate each year. What I did differently this year was that I registered on the Random Acts of Kindness website. 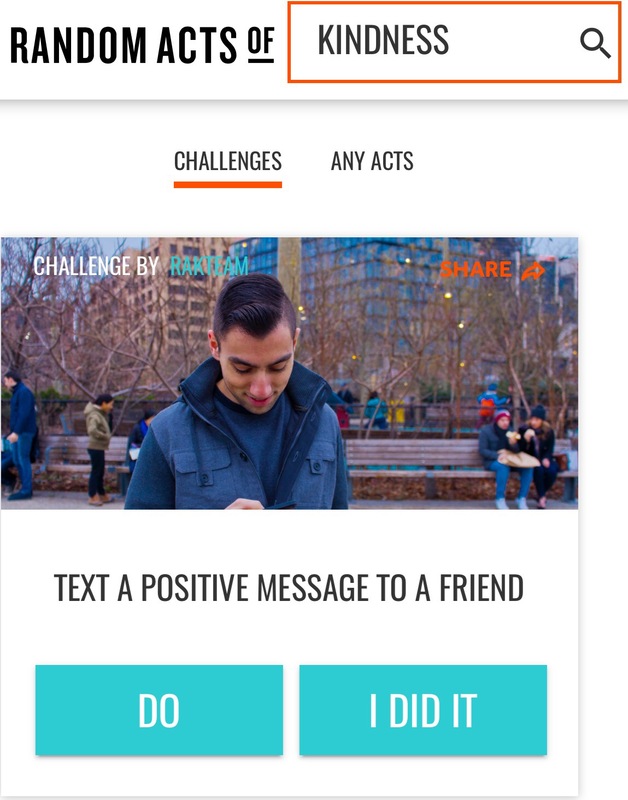 They have an interactive site with daily challenges and stories and a way to track my actions, for my own benefit. 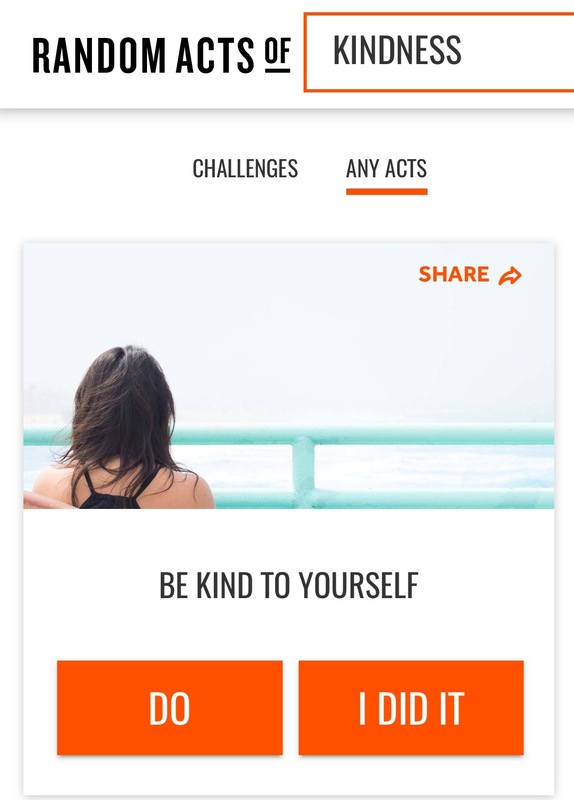 I was delighted to see that one of the challenges was to practice self kindness. What a great way to kick off the week. Sunday is normally my self care day. And in the same way that loving myself overflows into loving others, being kind to myself naturally flows into kindness toward another. I prepared my simple morning meal…warm lemon water and a fruit smoothie…and had breakfast in bed. Gathering colored pencils and my altered book, I further practiced self kindness by creating another page in my art journal, all from the comfort of my cozy bed, with brilliant sunshine streaming in through the windows. Bliss. Tenderness. Creativity. Kindness. And I was prepared for a week of conscious kindness. 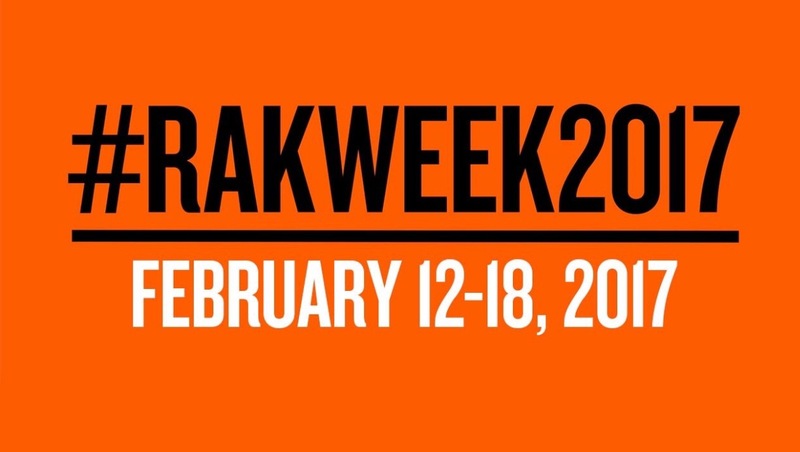 Today’s challenge during Random Acts of Kindness Week. 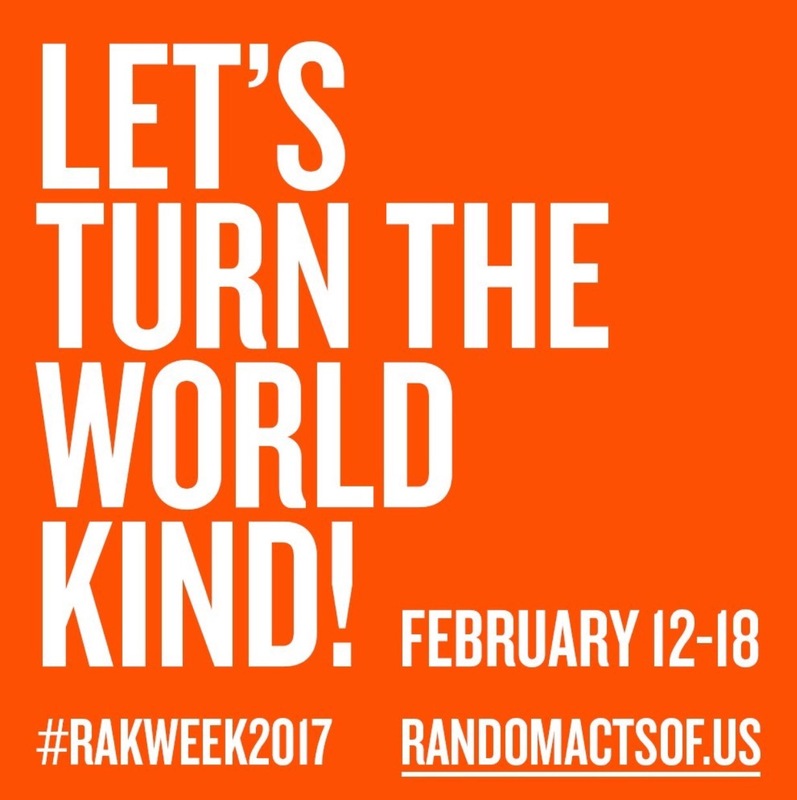 I am excited to participate in this week of random kindness. Not all of it will be geared toward strangers. Kindness is appropriate to offer to everyone, including friends and family and animals. However, it is fun to do something kind for someone I don’t know, and remain anonymous in the act. It is not a coincidence that Valentine’s Day is celebrated during this week as well. For many people, this is a difficult holiday. Rather than focusing on the lack of a romantic relationship, or a relationship that disappoints or is complicated or is less than desired, how amazing if more people focused on showing kindness, and love, toward others. During this chaotic time, in our country and in the world, what if there was less talk and more action? Less divisiveness and more unity? Less hostility and more kindness? Doing acts of kindness without taking credit for it bypasses the ego and lets the heart take the lead. There is no need to keep score, for these genuine acts are not done for the sake of reciprocity, but done to send positive, loving energy out into the world. What a perfect way to make life a little more tender. 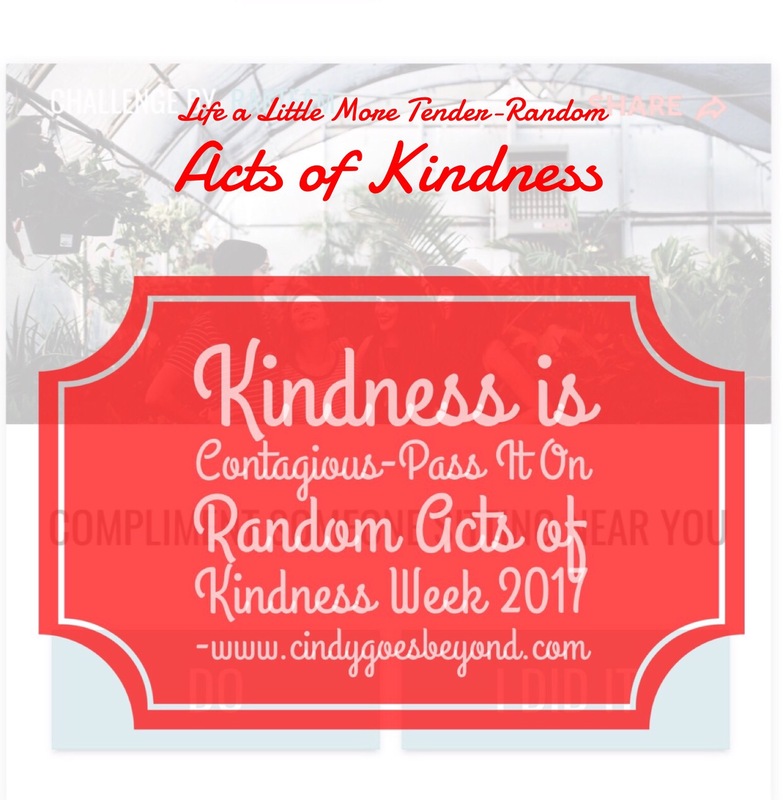 Won’t you join me this week, in being kind?